When you conduct personal strategic planning for yourself, you always begin with a mission statement. This is clear definition of exactly what you want to be and accomplish at some future date. To develop your mission statement, you project forward and imagine that you have been completely successful in achieving all your goals in a particular area.You then describe your life and activities in this area exactly as if they were already true today. 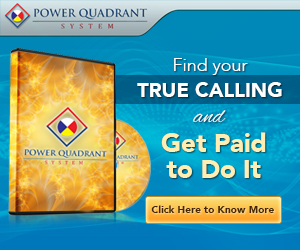 For example, your personal mission statement could be something like: "I am a happy, healthy, positive person who does excellent work, is paid extremely well, is highly respected by his customers and coworkers, and is deeply loved by his family." This kind of mission statement can then serve as an organizational blueprint for your life. You can use it to make decisions by comparing what you are about to do to see if it is consistent with your mission. If it is not consistent with your mission, or with your ideal image of the very best person you could possible be, you would not do it. Reality is the beginning precept of personal growth. We mainly grow as humans by discovering new realities about ourselves and our world. You'll surely learn some crucial lessons regardless how you live, but you are able to speed up your growth hugely by consciously looking for truth and intentionally rejecting untruth and denial. 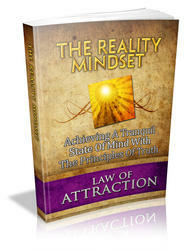 This book will provide insight to the reality mindset.